Full Sail Partners, a Deltek Premier Partner, announces that Matt McCauley EA, MS has joined the firm as a Principal Consultant. Mr. McCauley’s hire expands the Full Sail Partners’ team to more than 30 professionals focused on technology solutions. His extensive knowledge of the Deltek product set and proven consulting expertise are an ideal match to help clients streamline business processes and achieve greater efficiency from their Deltek Vision ERP system. With more than 20 years in the professional services industry, Matt has the insight that will allow him to identify the unique requirements of our clients. 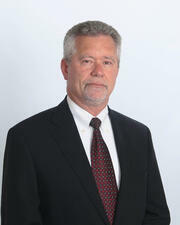 He specializes in Deltek Vision’s Core Applications, Resource Planning, VPM, and most recently, Fixed Assets. Throughout his career, Matt has worked as both a client and a consultant, providing a unique perspective during client implementations. As a CFO and Deltek Vision user, Matt led the Vision conversion effort for his firm and managed Vision prior to becoming a consultant. Additionally, Matt has completed the PSMJ Project Manager and Financial Manager Boot Camps, and is an Internal Revenue Service Special Enrolled Agent, a Federally Licensed Tax Practitioner.